So, if you're new around here or haven't been following me on instagram or twitter, then you might not know, but I'm getting married in 2 days! 2 days. Yes, that number still shocks me, but I am SO excited to marry Adam. It's what this whole process is about and it's finally here, 4 and a half years later built up to this day and it cannot come soon enough. Over the last 11 months I've gotten my fair share of advice, most wanted and needed, some not so much. I thought since my wedding planning process is almost over, I'd share the best pieces of wedding advice I've learned and maybe things I wish I would have known! P.S. 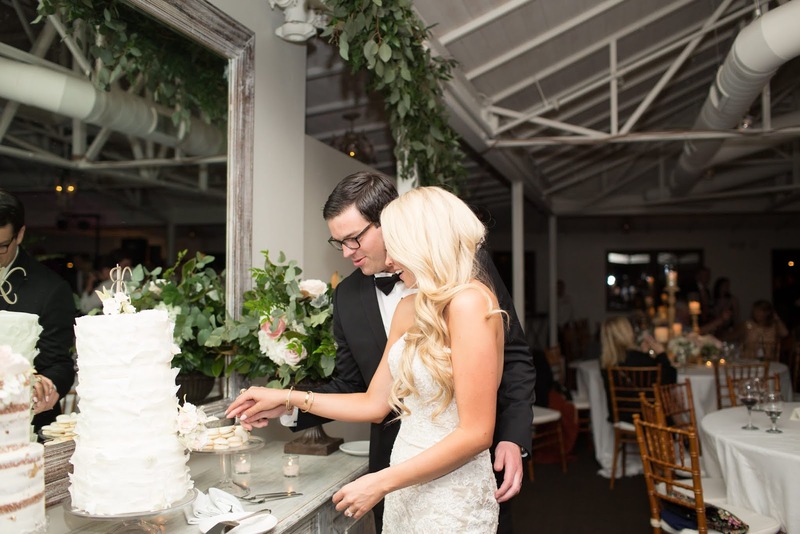 Helene from Helene in Between just celebrated her 4-year wedding anniversary and shared some of her marriage tips, go check them out! The best piece of advice I received was from my wedding planner, "Remember at the end of the day, you're marrying your best friend and starting your forever, all this other stuff is just secondary. You'll be married for the rest of you life and the wedding is just the beginning." My wedding planner told me this at one of our first meetings and it set the tone for the whole planning process. I felt calm and at peace because I knew, and she reminded me that this process was temporary but our marriage will be forever. Even though you will, don't over-stress the small details. They're important but so is your sanity. Have good music. I prefer a live band, but make sure whatever you pick, it's good. People love to dance at weddings. When you're opening gifts at a shower, make sure you smile, even if you're not sure what it is when you open it. Pick your invitations far in advance. I did my kind of last minute and it was so stressful. Take lots of pictures along the way, hopefully this is a one-time experience, you'll want to remember it. Long dresses hide knee braces, a tip for wedding and a tip for life. When you plan your engagement party, get chicken wings, because the groomsman will probably stay up until 4am with your dad and eat the entire tray. When you're planning, drink champagne, it makes it so much more fun! Pick a wedding planner that gets you, your vision and your style. I'm so OCD so I knew I needed a planner that understood that and knew how to handle that. With my planner, I had a planner, mentor and friend, the perfect combo for planning your dream day. Don't forgot to include your fiancé, if he wants to be! Adam couldn't care less about color of flowers, but seating chart, he had an opinion, and remember it's his wedding too! Stand strong on the things you really want, but give a little on the things you don't, it will make this whole thing easier. Remember your mom has been planning her little girls wedding forever too. Sharing this with my mom, even when we disagreed on stuff, has made this process everything. I couldn't have done it without her, nor would I want too. Remember to eat before your dress fitting, or else you get hot and faint. Trust me, it happens. When you get a spray tan, make sure your nephew doesn't pee on you. Have fun! You're planning your wedding! Enjoy it. Thats all I have for now! If you're planning or have planned a wedding, share your tips with me! Enjoy your Thursday everyone, it's almost the (wedding) weekend! !